Description: This detail is from the 1719 map by John Senex "A map of Louisiana and of the river Mississipi [i.e. Mississippi] showing the north peninsular area of Florida. 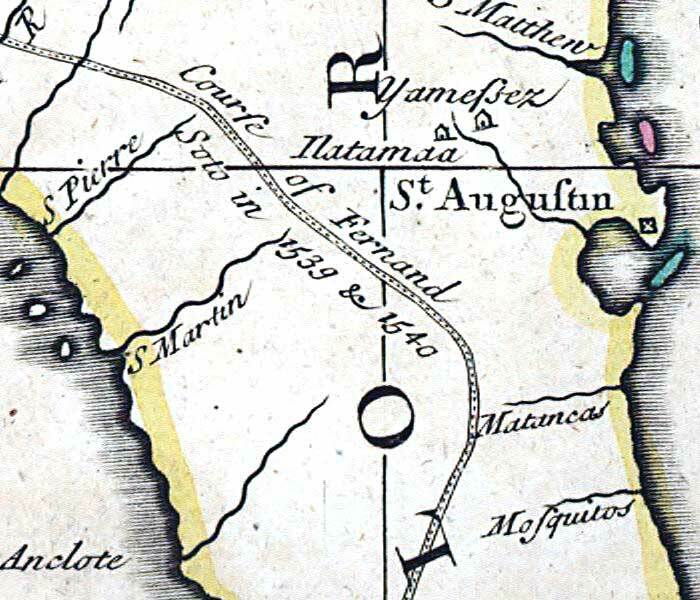 Senex took quite freely from Guillaume de L'Isle's 1718 map of North America, including the route of Fernando de Soto.